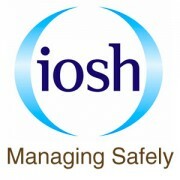 These highly successful, practical and certificated courses are delivered by UK Safety IOSH-licensed trainers. The Institutions range of health and safety training courses has been developed to address the safety training needs of employees and the no health and safety experts. Managing Safely is for those required to manage safely and effectively in compliance with their organisation’s policy and best practice in health and safety. Those who manage risk and resources. The course’s aim is to provide the knowledge and skills they require. To ensure that safety requirements are appreciated by people employed as line managers and to enable them to review their own departmental systems for safety, introducing safer controls. Define hazards and risks and describe the legal requirements for risk assessment. Identify workplace precaution hierarchies and be able to implement controls. Be able to understand and implement proactive and reactive risk strategies. Outline the main provisions of key legislation, codes of practice, and guidance notes. Explain the component parts of a recognised risk management system. Identify data and techniques required to produce incident records. Demonstrate procedure for accident investigation. Managing safely comprises eight core modules spread over four/five days including tutor delivery, discussion groups, syndicate exercises and the use of self-teaching material.